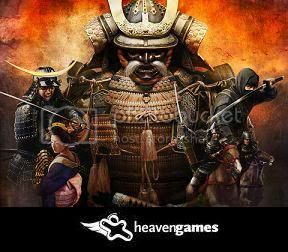 As proposed in the earlier thread, we've launched the official Shogun 2 Heaven Clan. This will enable us to take part in the brand new Clan feature that Creative Assembly have added to the game. Not to mention it'll serve as a meeting place for Forum Parties, Casual Games and eventually the Shogun 2 Heaven Tournaments. You can see the group page here. Join us! Here, in the shrine of the war-god Bishamonten we shall remember Clan campaigns of the past, notable performances of members and of course each Player of the Week is enshrined in each thread below. I just joined So who's the first who dares fight me once it's released? I'm in, looking forward to having some games. Liam, we're supposed to work with each other, not against! I'm in too. Never been brilliantly good at MP battles, but I'm more than willing to give it a try. Still, there's nothing stopping us having "Friendly" battles. Good idea! I imagine we could use this to play other games with each other too. Ill join when i get home next week. His Scipii wishes to know which Clan Speciality we are going with so I can designate the S2TWH group as my clan and get fighting. Being the first person wanting to designate the group as the clan it keeps asking me to choose a clan specialty. Lucky I got singleplayer to tide me over until we decide, or someone chooses for us. Just Joined it.I'm pretty excited about it,although I will have to wait until (if I'm lucky) Saturday.Looking forward to the "friendly" battles. "Quem perdoa é Deus.Nós estamos aqui para adiantar o encontro com Ele." BOPE Commander when asked what they would do with the Drug Dealers. Right guys we've got a pretty respectable number ready, so how about we choose our speciality! "Now you’ve formed your warband, you’ll need to link your clan within Shogun 2. This you’ll have to wait till release to do, but what you can decide now is your Clan Specialization. This will be a choice made when you first register your clan and, depending on what you choose, it will give your clan mates a specialised Retainer, as well as access to some very powerful Veteran skills. You’ll have to choose between the sword, spear, bow or even cavalry, so make your selection carefully." I'll tally up the votes as they come! For me it's between the sword and cavalry; so I'll apply a half-vote to each. When I first booted up the game, it was a tough choice between the Takeda and Date because of those specialties. I haven't joined the group, yet; and I don't really ever do the MP thing. Nevertheless, as long as it won't hurt the clan if I never play a MP battle, I'd like to join. The MP system in this game is more appealing than the previous titles, though. However, I think I'll need to buy a new PC before I can do MP. I like the idea of having a clan Bow speciality, but feel free to ignore me since I don't know how much MP I'll be playing! I was winning my first naval battle and disconnected. I guess it's the most usefull, sword that is, but I think everyone will poick either sword or spear. so just to be different (And cos I like them) I choose Bow. I will give a half vote to both sword and bow. I cast my vote on Sword. As I understand the speciality reduces casualties to that unit type and that's most useful to sword units. for it being the basic unit, that's why the Oda Clan is awesome. Cavalry.If it is like HussarKnight said,the Cavalry are normally very vulnerable,AND they have less numbers so losing less of them would be very useful. I figure we'll call voting off on Friday night, that gives us the weekend to get set up. Also time to get some friendly games in. I'll be available pretty much all day every day up until Wednesday! I'm 0 for 2 in multiplayer so far, so any bonus would be a help! Tempted to vote for the Sword specialty, so I vote Sword, since they will likely take the most losses as they act as my spearhead assault units. Count me as a vote for sword as well, I'd prefer to have a bonus with something that's my bread and butter troop. I am pleased to report I have driven our enemies from the field twice, but at great cost. The final fight took place beneath the cherry trees, with their blossoms raining down upon dead and dying alike. Uh, so it looks like we're going as cavalry. I joined the clan 'officially' this morning and we're already set as that so I don't know what has happened there. No matter. You guys all need to log into the game, check into the multiplayer lobby and so long as you're in the Steam group you can declare the Shogun 2 Heaven clan as your own. Now... Who wants some inter-clan matches this weekend? Saturday would be a good day for some carnage! I'm up for some inter-clan matches. I'll be around pretty much all day saturday. Early I'll be out in the evening probably, but during the day I'll be on it. My Lord! I am pleased to report the recruitment of No-Dachi samurai and Yari cavalry to our cause! Awesome work! I tried a couple last night to get Katana Samurai but went 1-3. I should be free today (saturday) but I still have 50 Mb to update which will take a bit so I'm not free to play inmediately now or anything. 1-1 on the clan map today. We seem to be cavalry specialists? Yeah, it was chosen by accident so we'll roll with that! Good to see you fellas getting in on the action. If anyone is free this afternoon (4 hours time) I would like to test your mettle! Sorry I'm late, just woke up. Do we have a chat channel set up or anything? Sorry I didn't really go online yesterday. I went on and saw EOJ was online but he was in a battle. I just had my first online battle and I won! We had the exact same army except I had a unit of light cavalry instead of swordsmen (I'm sill not used to the names). But he went and sent two units to capture the buildings in the map so I rushed and killed him. I have won 2 battles, and lost 2 battles. But when I see my name on our clan page thingy, it says I haven't played at all. Same.I've won some and lost more but nothing has updated. The clan page didn't even load for part of last night. Ah, I found out why. Battles over the battle list don't count. Which is annoying but I guess it's to stop exploiting and such. Well it looks like the servers are down again! As for the battles - for them to count you need to use the match maker. Also there is some sort of bug that Gnarlyhotep pointed out in his thread so you should give that a quick look too! I have that trait too. I go into "avatar conquest", "conquest map" I send my army to a new province then press "Match made battle" So it chooses someone worthy to fight me. This should count or whatever shouldn't it? I get the extra units or whatever from capturing the regions. Oh, and how do I download the new patches? Is it on steam or are they like in older games where you just get them off the internet? The patches are on Steam, so downloaded automatically (unless you changed the update setting). Yes, Match-Made battles count towards the Avatar Conquest map and the Clan map. However, the servers or something seem to be having issues tracking stats, so some games (victories or defeats) are not being counted. I haven't changed anything and I have 1.00 Ah hell, whatever. The patches, or hot fixes as CA are calling them at the moment, that have been released so far have not changed the version number so the version number is still v1.0.0. Yay, I fanally have two ranked wins. I've tallied a handful up this evening too, games are getting counted for me right now so I thought I'd better do as many as I could cram in!